Arte contemporeanea a Pechino. Alla Ucca, ha aperto oggi l’expo di Liu Xiaodong, uno dei pittori più attraenti d’oggi a Bejing. 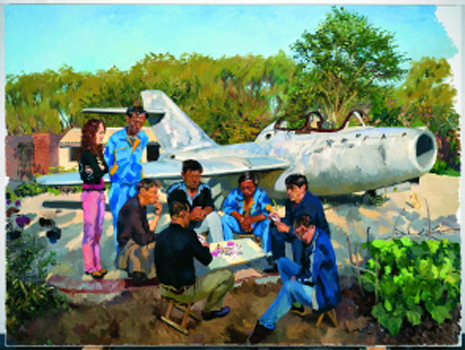 Come del resto Ai Weiwei (perseguitato), Chen Lingyang, Hai Bo, Hong Hao, Li Yongbin, Lin Tianmiao, Liu Wei, Liu Xiaodong, Qiu Zhijie, Yu Hong, Zhang Dali, Zhang Xiaogang, Zhang Yajie, Zhao Liang; Chen Shaoxiong, Liang Juhui; Hong Lei, Hu Jieming, Xu Zhen, Zhou Xiaohu; and Cai Jin, Wenda Gu, Xiaoze Xie, Xu Bing, Yun-Fei Ji, Zhang Huan. 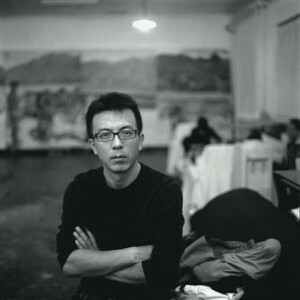 Liu Xiadong è qui sotto presentato da Jerome Sans, direttore dell’Ucca, la galleria molto attiva che sta ospitando le migliori performances pittoriche cinesi del momento e che propone Xiaodong fino a febbraio 2011. Sansw lo definisce un “filmaker”. 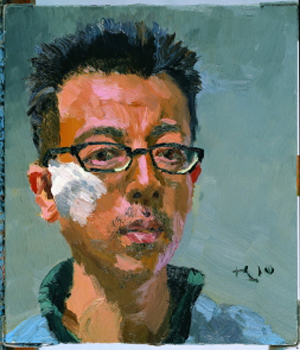 Comprised of paintings, extensive diary entries and a documentary film by iconic Taiwanese director Hou Hsiao-Hsien, Hometown Boy offers the first complete perspective on the artistic practice of Liu Xiaodong, one of China’s most respected painters. This multifaceted exhibition was designed and created specifically for UCCA. Liu Xiaodong approaches his work much like a filmmaker. On paper and canvas, on video and film, he documents each step of the creative process, recording his methods, motives, observations and impressions, so that each component forms an integral part of the final work. He is the artist-as-director: the people he paints are his actors, and we, the observers, are the audience. 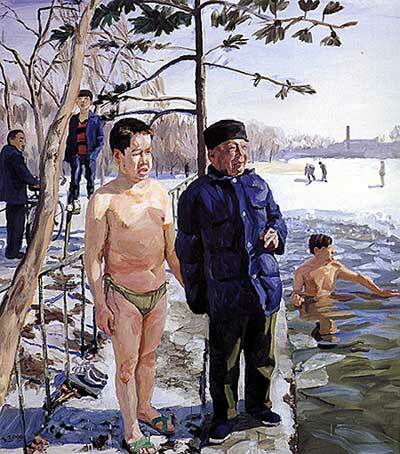 Liu Xiaodong was only seventeen when he left his hometown of Jincheng to study art in Beijing. 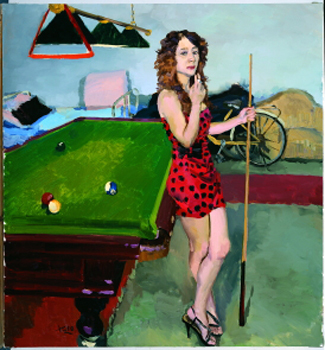 Despite his travels to exotic and familiar locales and the many portraits painted over the years – one critic describes them as “the psychic composite of a nation” – Hometown Boy marks the artist’s first extended trip home in three decades. Economic development and the passage of time have changed the landscape of his hometown and altered the lives and faces of the people he grew up with. 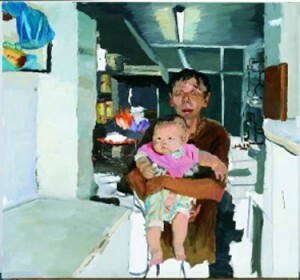 With his unerring eye for detail, Liu Xiaodong’s landscapes of Jincheng and portraits of his boyhood friends are based not on what he remembers, but on what he observes. The result of his homecoming is the body of work that fills these three rooms. And I thought I was the seisbnle one. Thanks for setting me straight.